The first ever GMO mammal, Dolly the sheep was put to sleep in February of 2003 after she was discovered to have a progressive lung disease. She was ‘born’ on July 5, 1996 after researched by Dr. Ian Wilmut and his team from the Roslin Institute research centre. Man’s best friend glows. Imagine tampering with the genes of your loving pet. A research team from Seoul National University (SNU) created a genetically modified female beagle, named Tegon. She was ‘born’ in 2009, and she glows fluorescent green under ultraviolet light if given a doxycycline antibiotic. Chickens without feathers were genetically altered in Hebrew University in Israel to grow quickly, but without any protective covering. Researchers claim there are many reasons why bald chickens are necessary. They point to the fact that fast-growing “boiler chickens” produce excessive body heat and may suffer tremendously in warmer climates, so the lack of feathers would make these creatures more comfortable, but animal protection groups are leery. The removal of chickens’ feathers makes them more susceptible to parasitic infections, and can make it more difficult for them to mate. 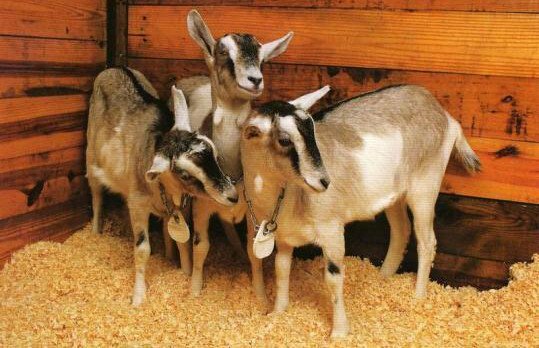 Genetically engineered goats were created by a team at a Framingham, Massachusetts -based Genzyme Transgenics Corporation, Tufts University and Louisiana State University. Why? To produce a human protein that affects blood clotting. 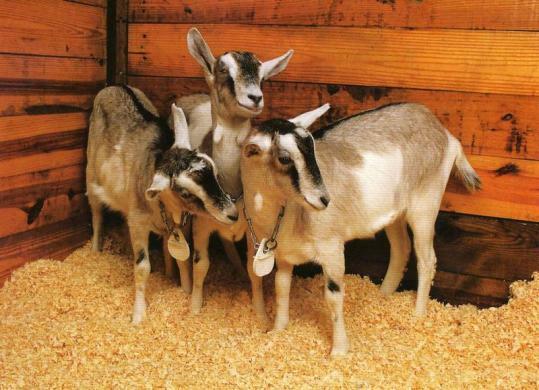 Three female goats posed for a picture in April of 1999 to show off the work of the scientists. These GMO fish were glowing in a tank under a blacklight while being displayed at the 2013 Bio Expo in Taipei. These fish glow in a tank under a blacklight at a fish farm in Pingtung, southern Taiwan, as of September 16, 2010. The genetically modified creatures are the world’s first fluorescent angelfish created by a joint project between Taiwan’s Academia Sinica and Jy Lin, a private biotechnology company. The breed is the largest fluorescent fish in the world. They are still able to mate and reproduce, which is more than we can say for Monsanto’s suicide seeds. 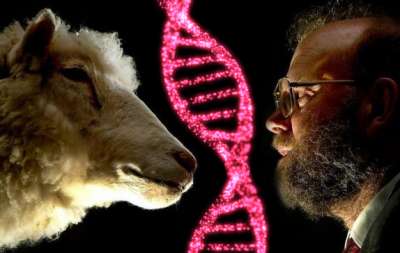 Transgenic sheep were grown in China using ‘a simplified technique’ – handmade cloning. They were successfully born on March 26, 2012 due to the efforts of scientists from BGI, the world’s largest genomics organization, together with the Institute of Genetics and Developmental Biology, Chinese Academy of Sciences (CAS), and Shihezi University, Xinjiang province. There are many other genetically modified animals, too. Cytoplasmic transfer, a practice which allows scientists the ability to create GMO human babies, is technically illegal in the U.S., but the current regulatory framework offers little in the way of enforcement capacity against those that breach this moratorium. Here’s what the FDA has to say about that.